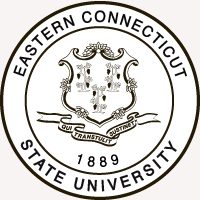 Eastern Connecticut State University (Eastern) is a public, coeducational liberal arts university and a member of the Council of Public Liberal Arts Colleges. Founded in 1889, it is the second-oldest campus in the Connecticut State University System and third-oldest public university in the state. Eastern was founded in 1889 as the Willimantic State Normal School, an institution whose sole purpose was to train teachers. Thirteen female students attended classes on the third floor of the Willimantic Savings Institute during its first year; the first male student was not enrolled until four years later in 1893. In 1890, the Town of Windham deeded land to the State of Connecticut. The state decided to use it as the new home for the Willimantic State Normal School, which was quickly outgrowing its space. Construction of a new, larger facility was completed in 1895. In September 1921, the school opened its first dormitory, Burr Hall, which is still in use today. In 1937, the Willimantic State Normal School, which had begun offering a four-year curriculum and granting Bachelor of Arts degrees, became Willimantic State Teachers College. Shafer Hall, dedicated in November 1946, was built to replace the original Normal School building, which had been lost to fire in 1943. The college established its first graduate program (in education) in 1958. By 1967, the school had widened its focus and was renamed Eastern Connecticut State College to reflect its expanded curricula. In 1983, the school officially became Eastern Connecticut State University in recognition of its greater mission, as it offered an ever-expanding variety of undergraduate and graduate programs.